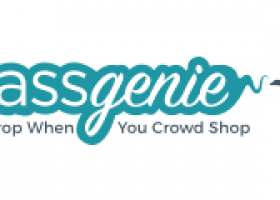 MassGenie is a crowdsourced marketplace specifically designed and curated to provide a fun, memorable shopping experience. It brings people together to discover products, explore online communities, and share stories about common interests. MassGenie's unique model offers people opportunities to make their voices heard. "Power Deals" give buyers leverage to drive down prices through crowd shopping fueled by social media. Sellers compete to offer buyers the deepest discounts. Enthusiasts have the chance to co-create the next product line with brand influencers and other community members who share their passions. MassGenie is based in Irvine, California, which is home to Orange County’s thriving tech industry and University of California, Irvine.